One of the biggest marketing phenomena that has affected businesses from all industry verticals and focused market is social media. Those who choose to downplay the role of social media in their businesses will eventually realize the folly of their mistake when they see their competitors raking in all the valuable streams of leads and potential customers right to their doorsteps because of social marketing. 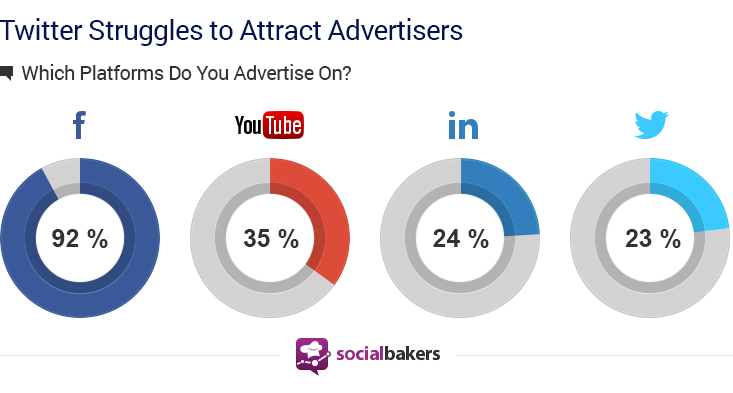 Wise business owners on the other hand know the importance of adding social media to their marketing and will definitely begin right now if they haven’t yet done so, just like what 62% of respondents from a recent Socialbakers study is targeting. 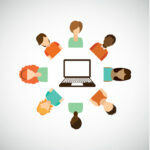 But like everything else in the Internet, getting through to your targeted customers on social networks may be harder than it seems on paper. For one thing, an average user gets a thousand or even more than 15,000 types of content depending on how they use social networks. 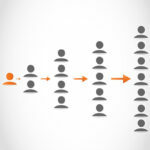 To make your brand or voice be heard above the clutter of social media and connect with targeted customers you need to ramp out your campaigns and adapt profitable paid social marketing channels. 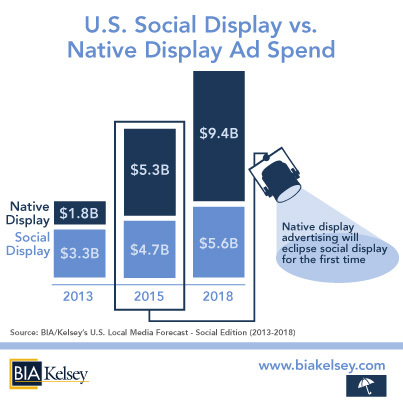 In the United States, Biakelsey reported a steadily increasing trend towards social media ad spending, with display or native advertising spending potentially reaching figures of up to $5.6 and $9.4 billion respectively by the year 2017. 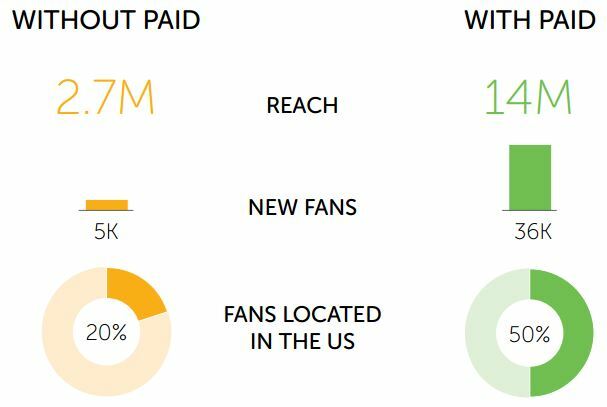 A growing number of online advertisers have already considered utilizing paid social marketing in their campaigns with as much as 45% going for brand awareness and 16% aiming for positive direct responses. So, stop wasting time and all the precious opportunities you can muster from social media by starting your own profitable paid social marketing with the following top tips. The first step is to choose which paid social media platform would be most appropriate for your business and targeted market. Just like what we described in previous DMP article on the difference of social networks, each paid platform present different features and attributes that may or may not be applicable to your business. (Facebook) Promoted Posts and Sponsored Stories – With Facebook limiting the maximum natural reach each post can receive, online marketers can leverage on Facebook’s Paid Promoted Posts and Sponsored Stories feature to generate a wider reach opportunity based on targeting criteria you can set when you pay for these ads. 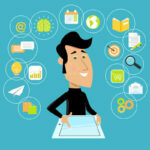 Check out this guide for Facebook paid marketing. (Twitter) Promoted Tweets – Twitter released its own version of paid promotions with their Promoted Tweets feature where users can set a maximum spend amount to reach specific demographics they have set with the ad’s targeting criteria. (LinkedIn) Paid Ads – Businesses trying to gain more marketing mileage and reach professionals and business owners can do well with paid LinkedIn Ads where, just like Facebook and Twitter, they can set budgets and targeting settings for reaching their intended audiences. 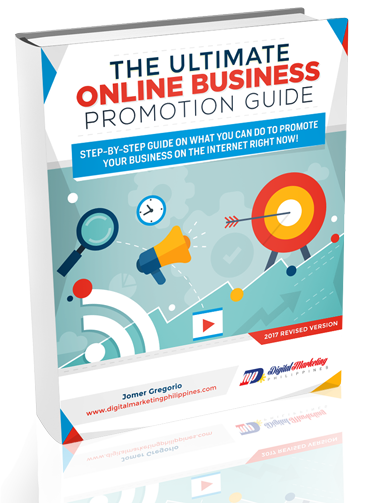 (StumbleUpon) Paid Discover – Brands and business can leverage on promoting interesting content from the Internet as a means of attracting their targeted customers in the form of StumbleUpon’s full page native advertising. (BuzzFeed) Sponsored Image Galleries – Leveraging on the power of visuals, BuzzFeed allows brands to promote stories using image galleries for targeting audiences. (Spotify) Branded Apps and Playlists – Using apps and playlists that are interesting enough to share, brands can connect and engage with targeted audiences by leveraging on themes they are interested in. (WordPress) Promoted Videos – Promoted videos are native to the WordPress.com platform and can be monetized and used for marketing by brands through the WordAds advertising program. Once you’ve selected the right platform for your business, you can then select the type of placement you would like your social ads to appear into. This would depend on the platform as each have different structures, layouts and ways of presenting content to their users. 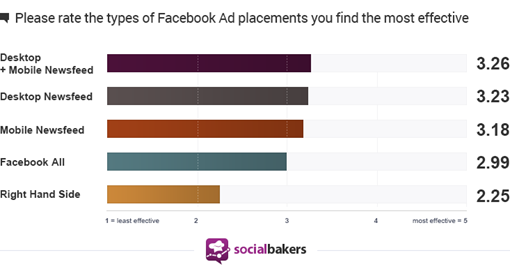 Let’s use Facebook as an example to present this clearly as the platform offer different placement types for social ads as listed in the chart below which is rated according to how users find each location as effective. 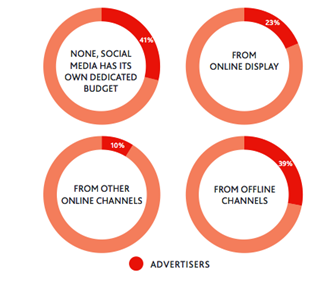 As can be seen in the chart, online advertisers have moved away from the traditional Right Hand Side ad location or the encompassing Facebook All option. 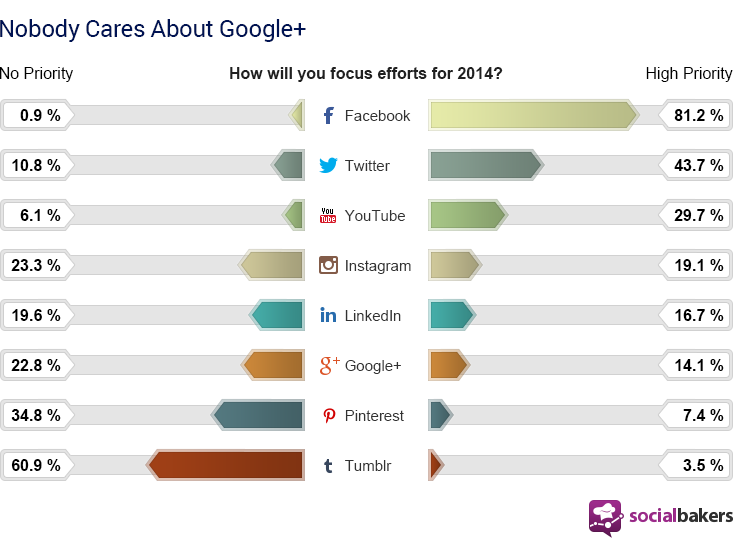 What these advertisers prefer and find more effective are focused placement on the news feeds where ads appear more natural an unobtrusive, thus generating more clicks and responses. Once you have identified everything you need, it is now time to set a dedicated budget for your paid social media marketing campaign. With a set budget, you can control your ad spending and maximize its cost-effectiveness by using paid ads in conjunction with organic social media marketing. 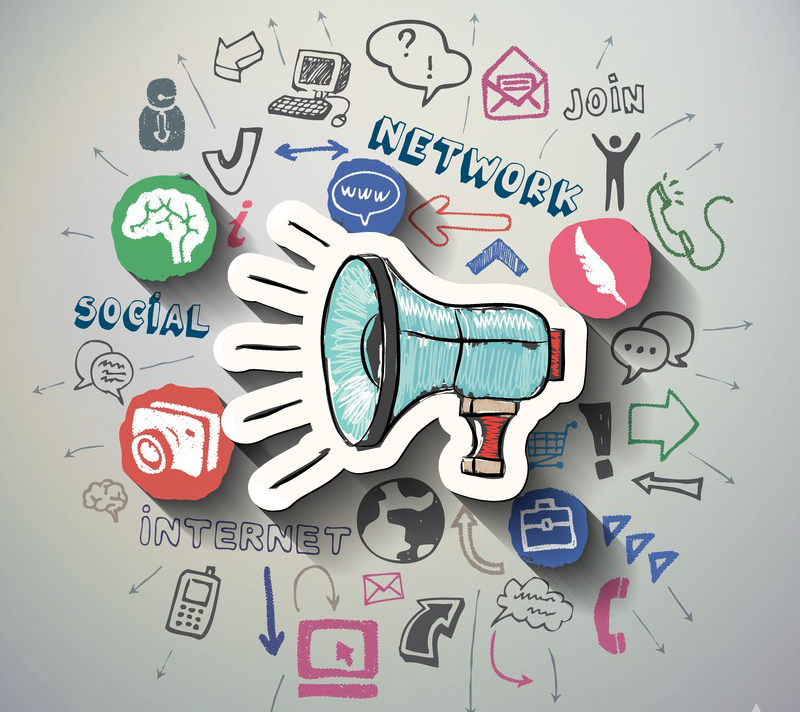 Many businesses and advertisers have already realized how important paid social media marketing is and how it can be a profitable channel for reaching out and connecting with targeted customers. Business find it very effective that many are actually pulling away budget from other channels particularly traditional offline marketing and other online channels that produce poor results. Online marketers agree that including visual elements are important for making their social media marketing more effective. These visual assets are very effective and important that as much as 68% of online marketers would like to learn how to do these things themselves. A social ad, no matter how fancy looking it may be, may not be effective in generating responses if there is no clear Call-to-Action (CTA) elements included. A clear CTA lets your targeted audiences understand what clicking on your ad will offer them in terms of value – so they’ll have a clear expectation of what they can get if they do. Social networks imposed limitations on their ads like the 20% text rule limit imposed on Facebook ads, limiting how much space text can occupy on the image area. You can be creative in how you work your way around this rule like adding text as part of the image itself and other techniques that can pass the Grid Tool. With limitations like the 20% text rule, advertisers can simply be creative in expressing their messages like including clear taglines which you can integrate with your logos and icons. When creating social ads, make sure you use high quality images that can capture the attention of your targeted audiences. Dull, too bright, or images with poor resolution simply will not cut it. Lastly, you should also try to make your social ads more engaging, leveraging on the fact that many users are accessing social networks by tapping or swiping on their smartphones and tablets. Just including the basic “Tap To View” icon or tab can already be an effective call to action that can generate an active response from your audiences. As mentioned earlier, use of mobile devices is a big thing among social network users and should be well considered in your paid social media marketing campaign. 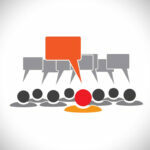 Part of this is to streamline your social ads for targeting mobile users based on their locality. As much as 59% of consumers do look for products and services they need within their locality and they’ll use their mobile devices to do so. In fact, up to 50% of mobile searches make use of local elements for finding local results, which could end up with a purchase by as much as 61% of the time. Next year, it is expected that up to 50% of clicks on paid advertising will be generated through mobile – so its high time that you prepare for this eventuality now. To maximize the results of your paid social media marketing campaign, it should be important to note that you should not neglect your organic social media marketing efforts and in fact should learn how you can integrate the two – and get better results. Castrol did and what thy got is more prospective fans reached, new fans signing up with their pages including highly targeted audiences (the ones that they really want) coming from the United States which is basically their targeted market. Free and organic inbound marketing constitutes the bulk of most digital marketing campaigns and can actually generate profitable results from their campaigns. However, if you really want to generate bigger and better results just like what 66% of successful online advertisers are now doing, you should learn to explore and utilize paid social media marketing – and generate fantastic results for your business now. 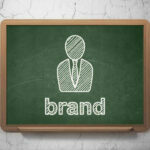 Comprehensive Look at Social Media Engagement and Why It’s Important?